Among many benefits, swimming for fitness can improve your sleep patterns, lower your cholesterol levels, improve digestion and keep you well toned. Swimming can also build cardio-respiratory fitness and muscle mass, help those suffering from asthma or arthritis, help you to lose weight and be used for injury rehabilitation. And for those worn out by constant interruptions, you can’t swim with iPods, cellphones or any other electronic gadget, leaving you to your own thoughts and improving your mental clarity. 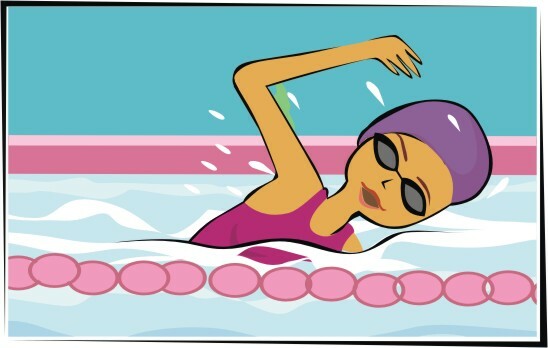 Swimming for fitness is something that’s ideal for a wide group of people––water buoyancy is very forgiving of weight, injury and weakness in the human body, offering a low-impact exercise choice. Moreover, the gentle but effective resistance provided by water (12 times the resistance of air) can provide an all-round workout without the same level of exhaustion or pain that might accompany fitness exercises performed out of water. If you have easy access to a suitable pool or swimming area, then staying fit by swimming might be an ideal choice for you. Thank you my friend…shall continue the good work.